Paris is known for its incredible architectural beauty, fascinating history, unique culture, and of course, never-ending romance, but nowhere in the city are all of these things more prevalent than the Louvre-Tuileries district. From museums and galleries to parks and luxury shopping, this area alone has enough packed in for one trip to the city of light. Discover our favourite places to visit in this magical cultural and historical heart of Paris. The whole 1st arrondissement is packed full of incredible galleries for you to get your cultural fill on a visit to the French capital. Le Musée de l’Orangerie on the west corner of the Tuileries Garden showcases an amazing collection of impressionist artwork and is home to pieces from celebrated artists such as Henri Matisse, Pablo Picasso, and of course Monet. Musée d’Orsay is just a short walk over the Seine and located in a vast former railway station. It houses a stunning collection of French art from the mid-19th to early-20th century and is definitely not to be missed. Of course, any visit to the area would not be complete without a visit to the mecca for all art lovers. It is impossible to see everything in the museum in one day so staying nearby will make it easy to dip in and out of the incredible art collection. 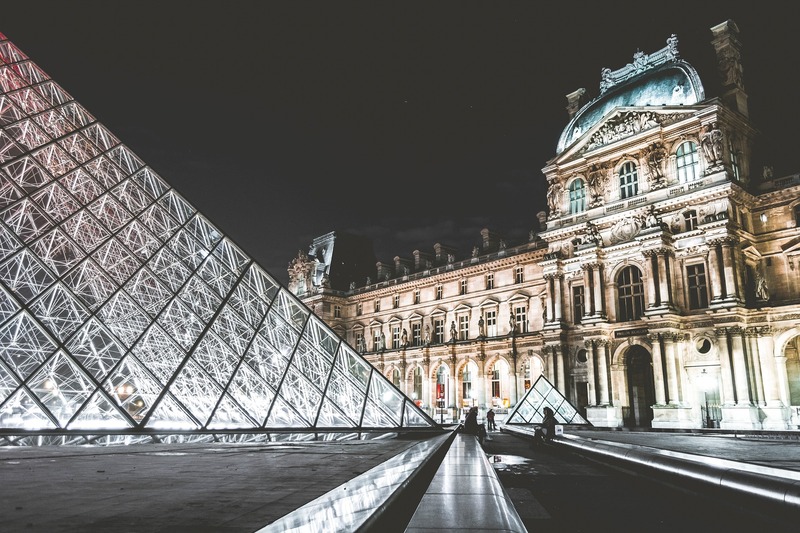 The Louvre Museum holds nearly 35,000 pieces of art including the renowned Mona Lisa and the Venus de Milo and if you have a particular interest in art then you may be interested in taking a private tour with one of the Museum’s Art Historians. The tour will really enhance your overall experience and offers you the opportunity to explore in detail, with an expert guide, some of the world’s most breath-taking masterpieces and learn of the the real stories behind them. The Louvre private tour with an Art historian takes approx. two and a half hours and is available in a range of languages and can be adapted for a different group sizes too. If you are short of time or just want to beat the crowds then skip-the-line tickets are a good option to get straight into the museum which means you have more time to spend exploring the museum at your own leisure. Book your Louvre museum ticket on ParisCityVision. Built in 1629 Le Palais-Royal sits opposite the Louvre museum in the Place du Louvre. This palatial residence was once home to French royalty and the beautiful structure is now open to the public. Wander through the stunning rooms, gorgeous gardens and courtyards for a peak into 17th century bourgeoisie life. Don’t forget to take that perfect Instagram shot sat on the picturesque central fountain, a great spot to escape the chaos of the city. One of the most popular (and possibly most photographed) public garden in the city is the sprawling Jardin des Tuileries, a continuation of the Louvre Palace. These elegant gardens are a sight to behold and are a delightful oasis to wander around on a bright day. During the summer, the gardens are in full bloom and attract a variety of people relaxing on the benches or floating sailboats on the ponds. The area near the Louvre is truly a shopper’s paradise. 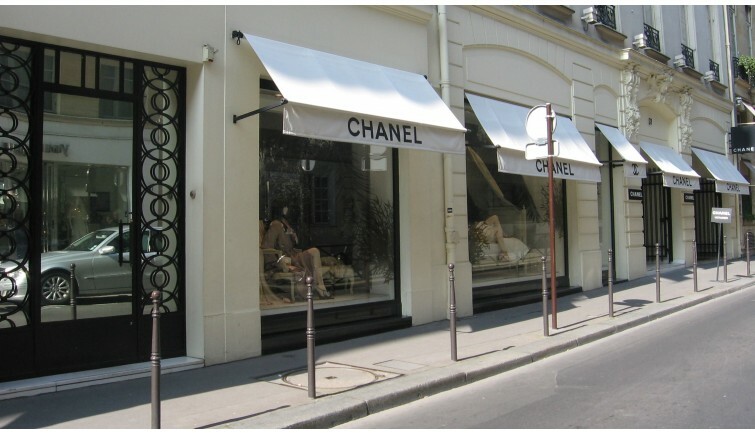 The Rue Saint-Honoré and the Rue du Faubourg Saint Honoré are lined with some of the city’s most exclusive and high-end retail offerings. These historic streets are at least 1000 years old, giving them suitable provenance to house renowned designers such as Hermés, Saint Laurent Paris, Dior, Christian Louboutin. Our preferred way to explore the area is with expert help from the style guides at ParisCityVision. 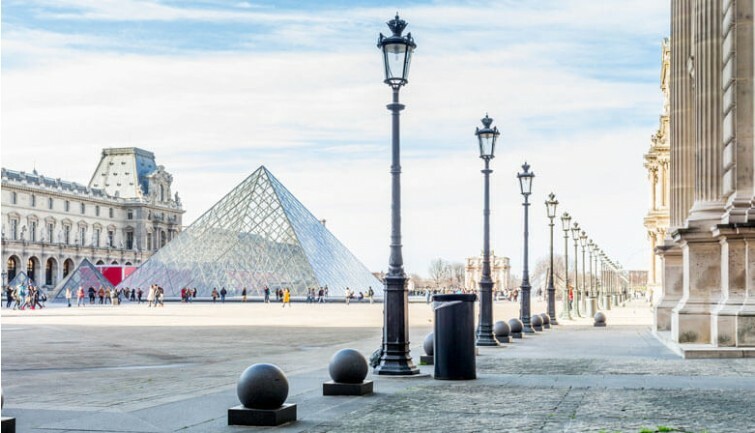 Their Louvre lifestyle tour offers an expert eye to the luxurious area, offering an insight into the history and culture of these opulent streets and stopping in on some of the most innovative and hottest boutiques for some unique tastings along the way. Café de la Paix is one of the oldest and most renowned restaurants in the city. Founded in 1862 it has been a popular spot with locals and visitors alike for a bite to eat or a spot of people watching whilst nursing a delicious black coffee. Famous names to have frequented this charming restaurant include Victor Huge, Oscar Wilde, Marlene Dietrich and Charles de Gaulle, all of whom we think must have appreciated the old-fashioned charm of the place. Sumptuous gilding and stunning frescos add to the sheer opulence of the place whilst the menu serves up Parisian café classics (try the seafood!). Named after the founder’s much-loved canine pal, Willi’s Wine Bar delivers on much more than just a great Mondeuse or a crisp Riesling. The restaurant and bar opened its doors over 30 years ago and changed the Parisian wine-game for good. Despite being owned by a Brit (we know! ), the selection of reinvented classic dishes and well-curated (and comprehensive) wine list, mean it has earned the respect of the discerning locals. 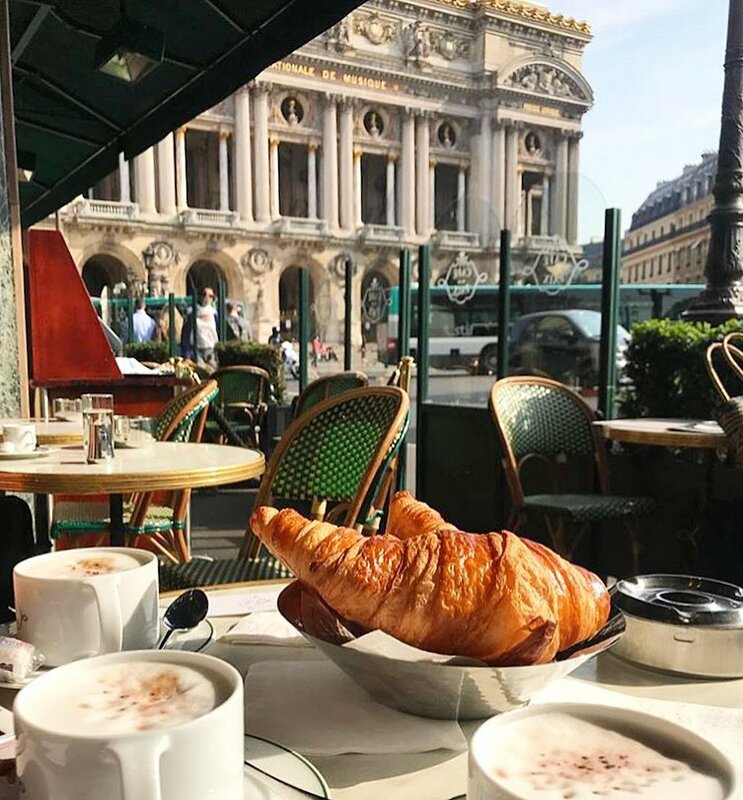 Just minutes from the Palais Royal gardens housed in a stunning Haussmann-designed building steeped in history is the Nolinksi Paris. The whole building is a fascinating mixture of art-deco opulence and contemporary elegance. 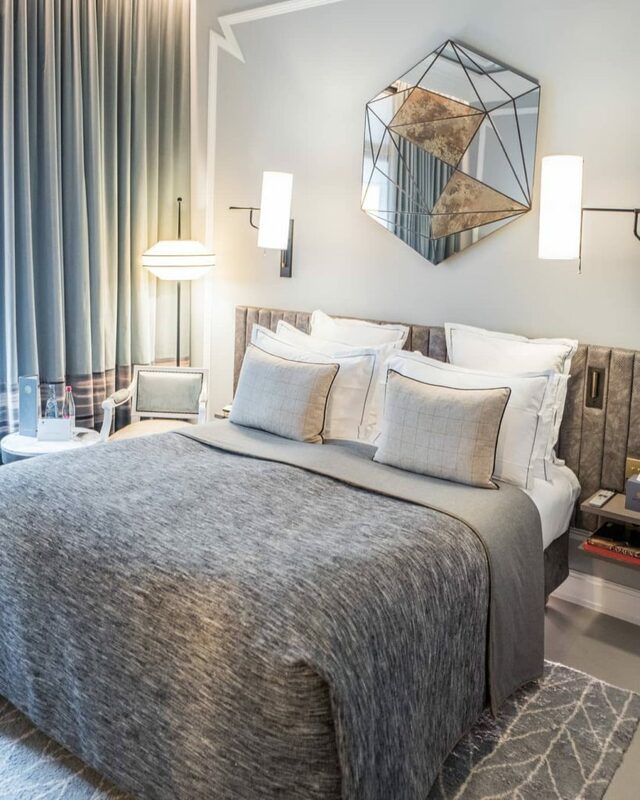 Home to just 45 rooms and suites, these are bright and spacious hideaways, each with their own colour scheme contrasting with the tranquil greys and concrete tones running throughout. The lobby is a striking combination of minimalist Carrara marble with warm woods and sophisticated tones of grey and blue. The hotel is home to a lively restaurant, Brasserie Réjane serving a characteristic twist on French classics and boasts floor-to-ceiling windows opening onto Avenue de L’Opéra. Nolinski Paris also offers guests a subterranean spa offering an escape from the busy city streets. The legendary hotel is like stepping back in time to experience Parisian splendour from a regal era. Sat on the beautiful 17th century Place Vendôme, beside the Ministry of Justice, the address doesn’t get much more exclusive than this. When the hotel first opened in 1898 it was one of the most forward-thinking hotels in Paris, and whilst the attention to detail, imitable service, and jaw-dropping décor has not changed, The Ritz is now a shrine to a Louis XV France. Guests can luxuriate in the glorious opulence of the rooms and suites, resplendent with period furniture, antiques, precious artworks, gilding, frescos and more. Dining is equally impressive with the Michelin-starred L’Espadon restaurant, the casual garden room-like Ritz Bar, and the 1920s gentleman’s club-esque Bar Hemingway. If you are looking for pure French indulgence, this is the place for you! Explore more luxury hotels in Paris here.